At The Hindu Metroplus Theatre fest conducted at Hyderabad for last four days. Taramandal is adopted from Sathyajith Ray short stroy ,Patol Babu Film Star. Every actor has an ambition to twinkle at least once in their life time in a galaxy of talent, dreams, aspirations and immense passion. 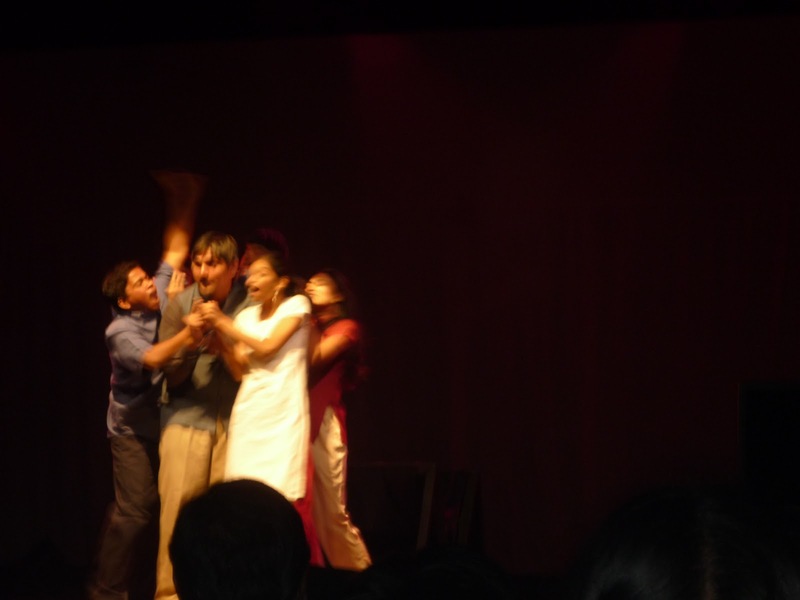 So did Patol Babu who dreams to be the King of the Stage.Exactly where the curtain raises and the play beigns. Patol Babu , a fifty year old man ,got a chance to act in a feature film. Unexpected. Surprising.He accepts and acts. When the production manager wants to give Patol Babu a renumeration ,he is gone. Never seen . Taramandal extends from Patol Babu to many such unspoken simple people. 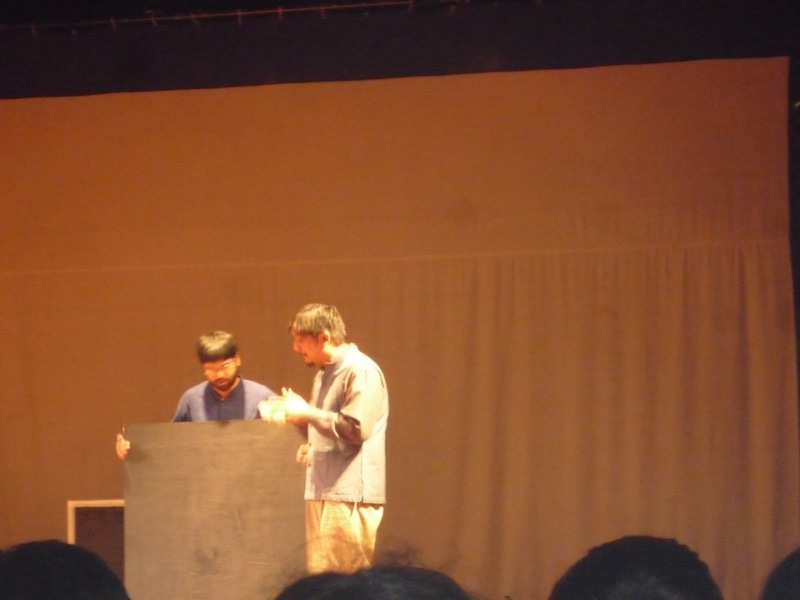 A very intelligent presentation and clever playwright where “Acting is life “ for these different people ,with various backgrounds and unique experiences . No wonder those half dozen actors made the audiences quietly watch not only the bright ,dim but, the invisible stars that never twinkled. Such a story with many failures may usually end up with sad “O”s! But, the seriousness of the narrative is expressed in a very sensible and subtle humour. Few actors presenting many faces would have been confusing if not for the amazing script and perfect planning. Congratulations to the actors for their brilliant performance. Why did Patol Babu leave the shooting spot without collecting his renumeration? Ray has his own observation. Those who are interested to know this answer , please read the original story in the link below. Previous Post వీరి వీరి గుమ్మాడి !